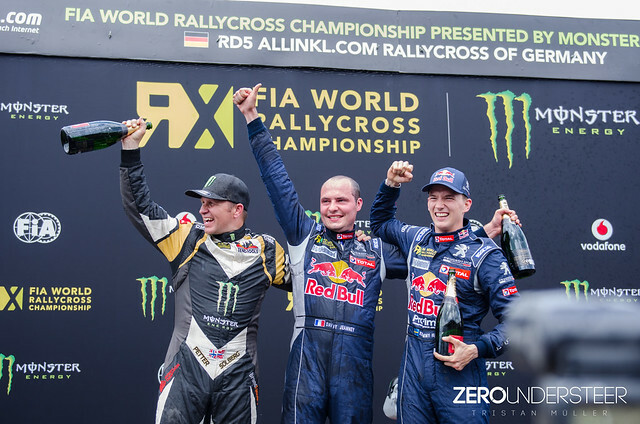 Davy Jeanney triumphs Round 5 of the FIA World Rallycross Championship – With Timmy Hansen on the third place Team Peugeot Hansen claims double podium in Germany. Solberg finishes runner-up. Davy Jeanney dominated the whole weekend. 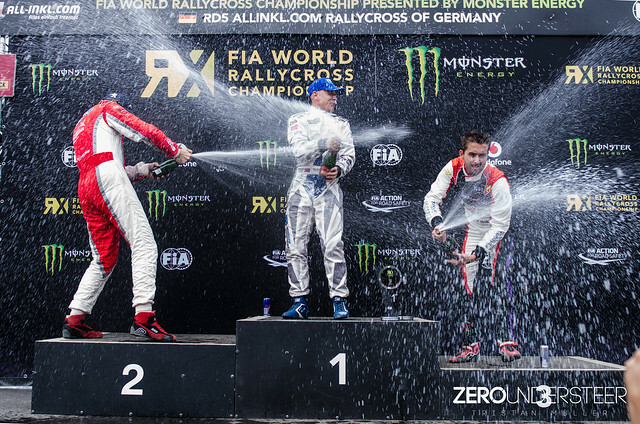 Davy Jeanny dominated the Rallycross Weekend in Germany by winning 3 of 4 heats of the Supercars and was the only one able to win over current WRX Champion and championship leader Petter Solberg. 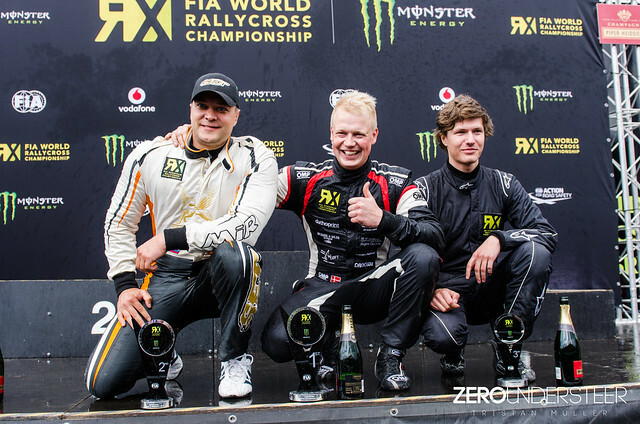 With his 2nd place on the podium Petter Solberg extends his Championship lead over Johan Kristoffersson by 35 points. 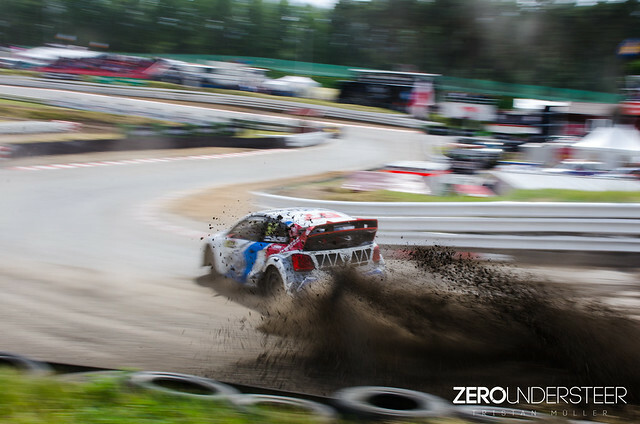 In the second round of Euro Rallycross Championship Marklund Motorsport’s Tommy Rustad finished first closely followed by Jérôme Grosset-Janin and fellow Frenchman Fabien Pallier. With his win Rustad closes the gap to Jérôme Grosset-Janin who won Round 1 of WRX up to only 2 points in the overall stanings. 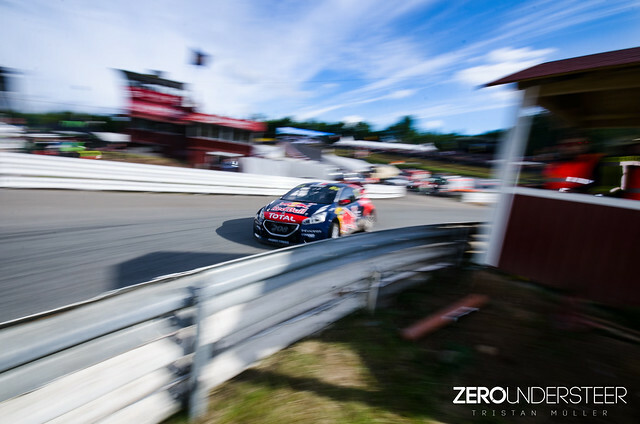 Elsewhere, it was a tough weekend for EKS team owner Mattias Ekstrom who failed to make the semi-finals after a broken throttle cable and a sensor problem hindered his progress. 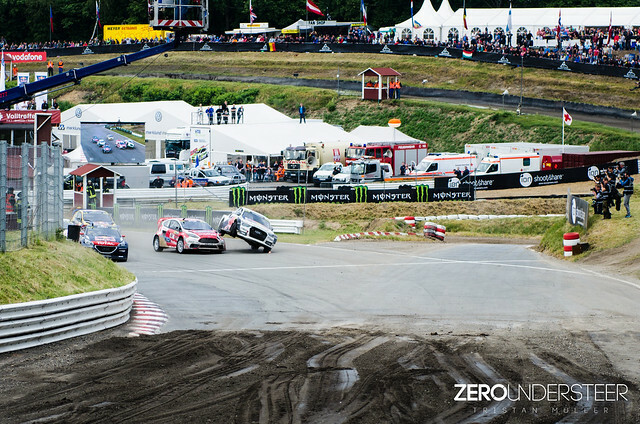 Team-mate Anton Marklund progressed to the semis but a tussle with Ford Olsbergs MSE Reinis Nitiss on turn one saw both drivers retire. 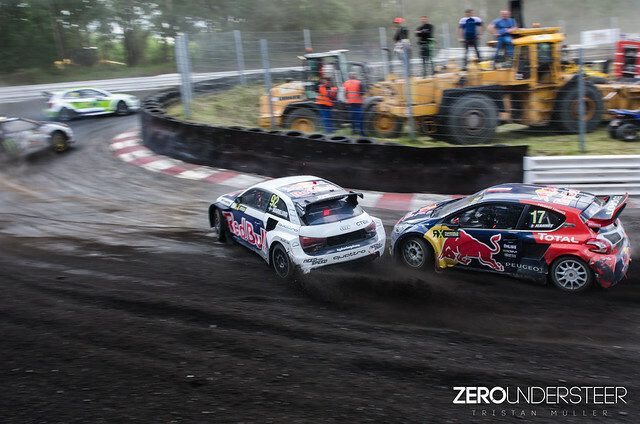 Swede Anton Marklund from EKSRX-Team got hit by OMSE driver Reinis Nitiss and had to retire. 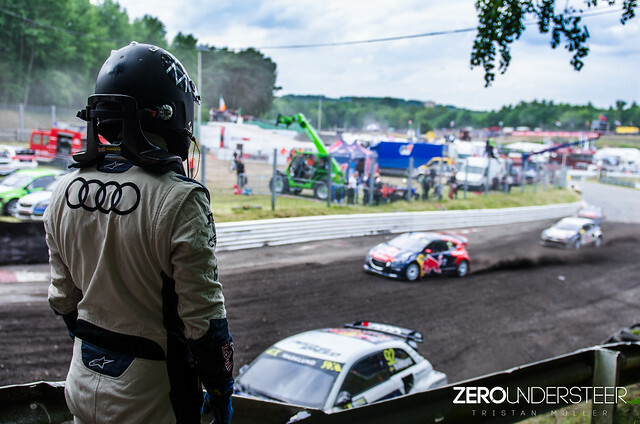 Anton Marklund from EKSRX watching the other drivers finishing the semi-final.